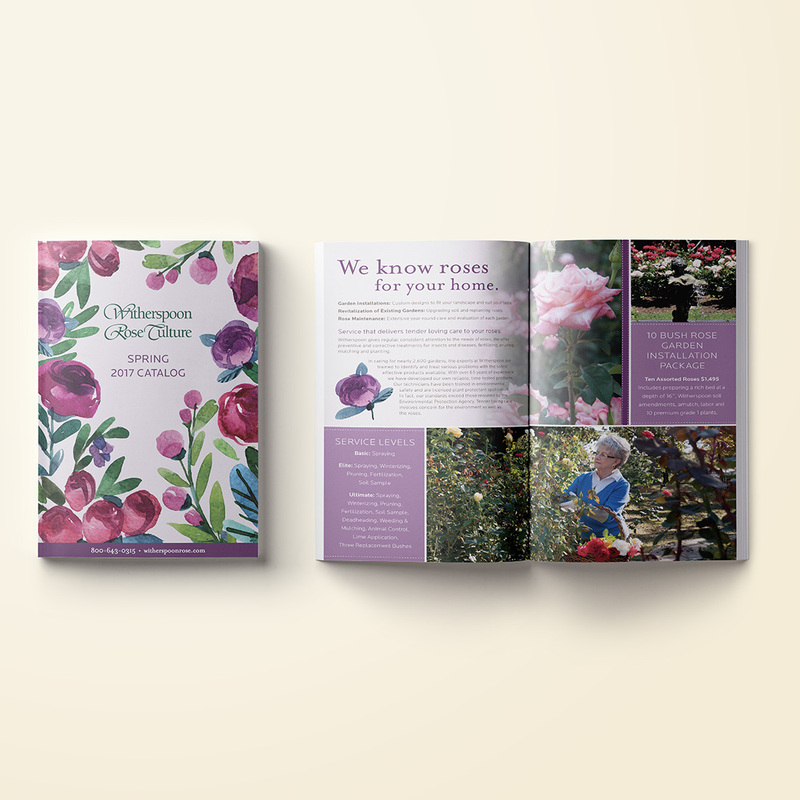 Catalog design for Witherspoon Rose Culture, who has been installing and maintaining rose gardens of all kinds since 1951. Witherspoon is staffed by certified rose specialists who draw upon years of proven methodology for planting and caring for rose bushes. They have the knowledge and expertise to ensure success in all varieties of roses.